Tony Hernando - All Guitars, Bass, Keyboards except where noted. Δελτίο τύπου: «Lords of Black guitarist Tony Hernando is one of the most exciting guitarists, writers, and producers in the European metal and rock scene today. With his many talents, it was a natural next step for him to stretch out and work on a solo album after the promotional cycle for Lords of Black third album, “Icons of the New Days” wrapped up. Hernando has always been passionate about melodic hard rock music, so the idea of pairing him with some of the best singers from his fellow labelmates' bands to lay their vocals over his songwriting seemed not only logical, but destiny. 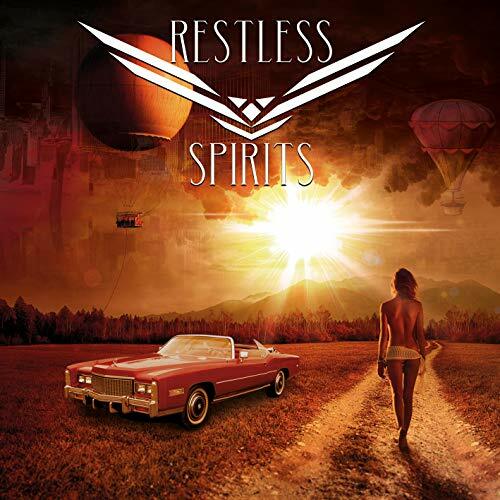 Thus, Restless Spirits was born and the self-titled debut will now be released on May 17, 2019. Aside from Hilli, guest vocalists include none other than Johnny Gioeli (Hardline, Axel Rudi Pell), Deen Castronovo (Revolution Saints, ex-Journey), Dino Jelusic (Animal Drive), Alessandro Del Vecchio (Hardline), and Diego Valdez (Dream Child and now, the new vocalist for Hernando's main project, Lords of Black). In addition to vocal duties, Deen Castronovo also takes care of drums on every track.